Rupali Bank Cash Officer Question Solve 2018. Rupali bank limited is one of the best and famous government banks in Bangladesh. This year the Bangladesh bank authority has taken an exam for the post senior officer of Rupali Bank. The exam was held in 9 March 2018. Now Bangladesh Bankers Selection Committee take the govt bank recruitment exams every month. We tried to publish all new govt bank job circular, mcq question solve, pdf question, bank job exam result. 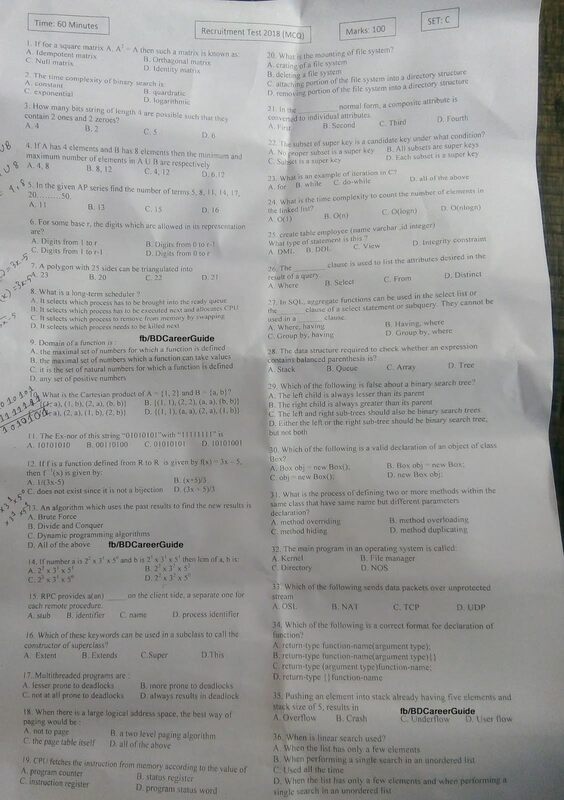 Take a look at Rupali bank officer cash mcq question solve. This is an mcq question. The total question was 100. Subjects included in this bank exam test was Bangla, English, Mathematics, General Knowledge. The exam was held in many centers of Dhaka city only. Bank job is one of the most favorable jobs for the job seekers. Check the full question solve of Rupali Bank in our site. You can also read Sonali Bank Officer Question Solve. If you are not satisfied with the JPG version of the question. You can download the full question solve of Rupali Bank Cash Officer from our site. The pdf download link is given below. Rupali bank is govt Bank of Bangladesh. Every year the govt Banks take job exam test for recruiting new officers like cash officer, senior officer, customer care officer etc. For this, they take mcq question exam test and written exam. As the bank authority take the exam last month, we prepare mcq question to solve of cash officer exam.